I have no explanation for this photo of peanuts beyond the simple fact that not everything needs an explanation. Life is short, and I'd hate to think I had missed an opportunity to be happily frivolous. 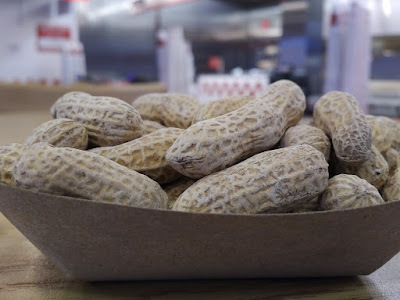 Reading your post, and looking at those gorgeously textured peanuts (though actually I loathe the things) made me realise I don't have much happy frivolity in my life. That is a very fine photo of peanuts. Today I am going to try to brush away my worries and concerns, and be happily frivolous by learning how to make hamentaschen (Jewish cookies for Purim). Facebook's new emojis go beyond the "Like"